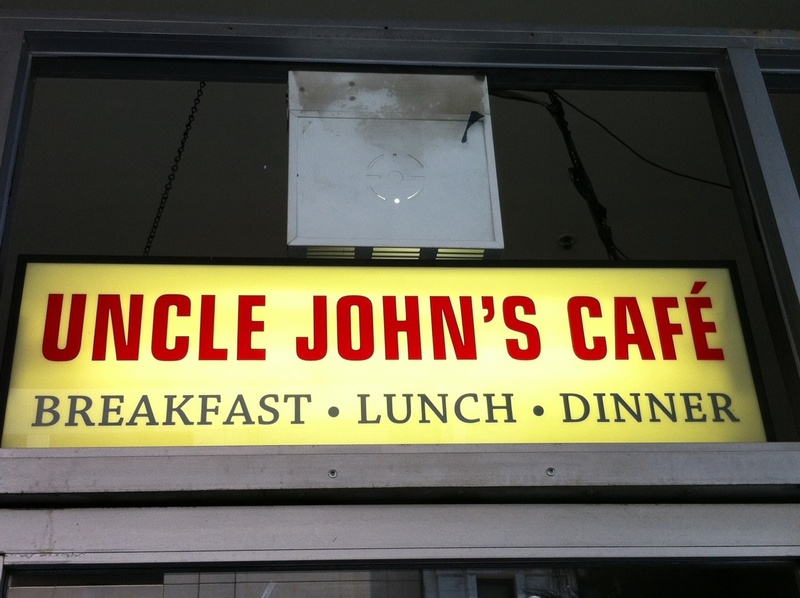 Uncle John’s Cafe | how's it going, eh? Uncle John’s Cafe. Why was I not introduced to your culinary delights until now??? This place instills a desire in me to move back to downtown Los Angeles. 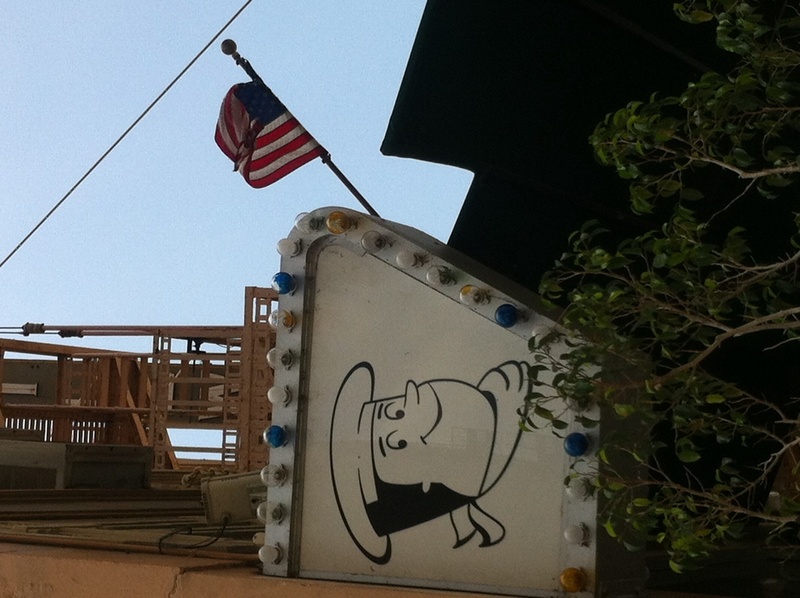 A family owned joint serving a yummy mix of greasy spoon American + Chinese food. In an entirely random part of downtown. My friend Sarah is in the know + introduced me to this serious gem of a restaurant. Do you not l ove the old school logo? They relocated recently – I wish I had been to the original location. I heard they had an awesome old timey wrap around counter. 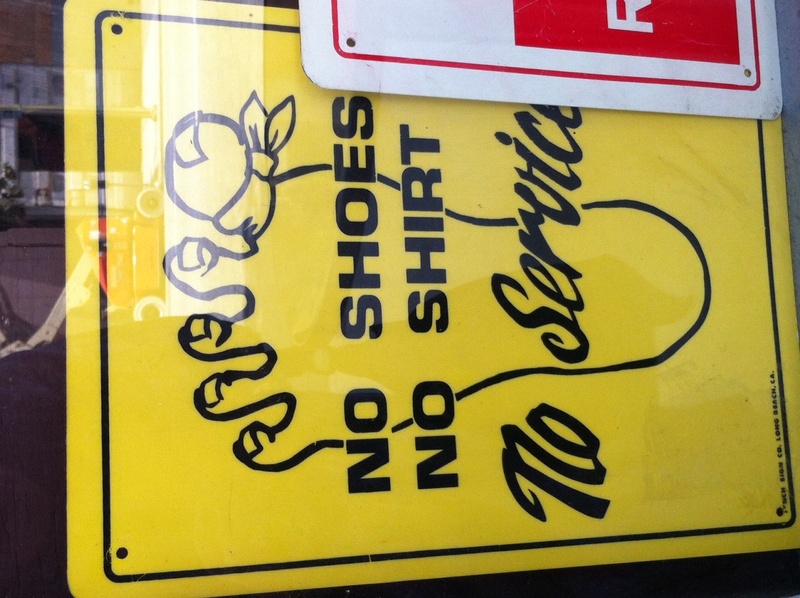 I love that sign!!! That goes especially for you, Spicoli!!!! Check out this guy at the counter. That’s right! City of Angels, y’all!!!! There was an eclectic mix of people devouring their food at Uncle John’s. City employees, financial district types + lots of cops. 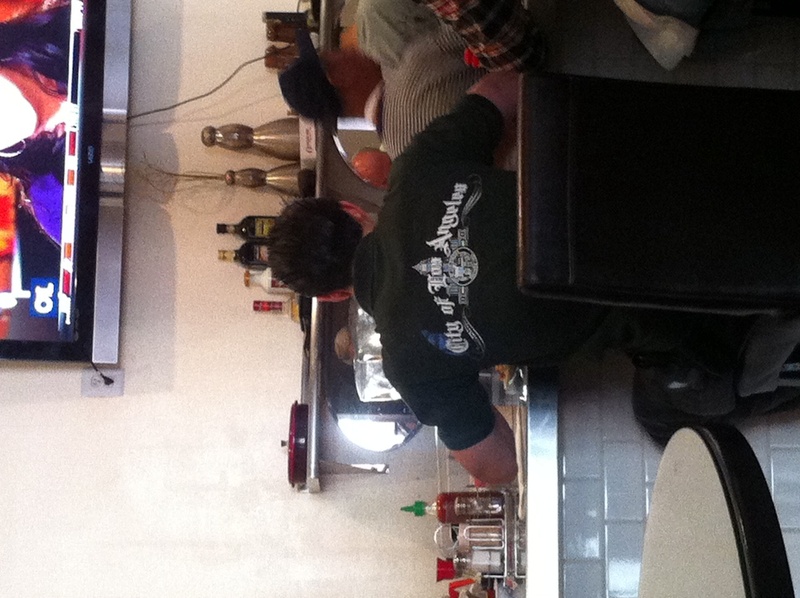 If you eat at a restaurant frequented by lots of cops in Los Angeles, that’s a good sign. The po-po know where the good eats are. Speaking of cops here’s a video of these two cute retired cops + their food show (2 Hungry Cops) episode on Uncle John’s. 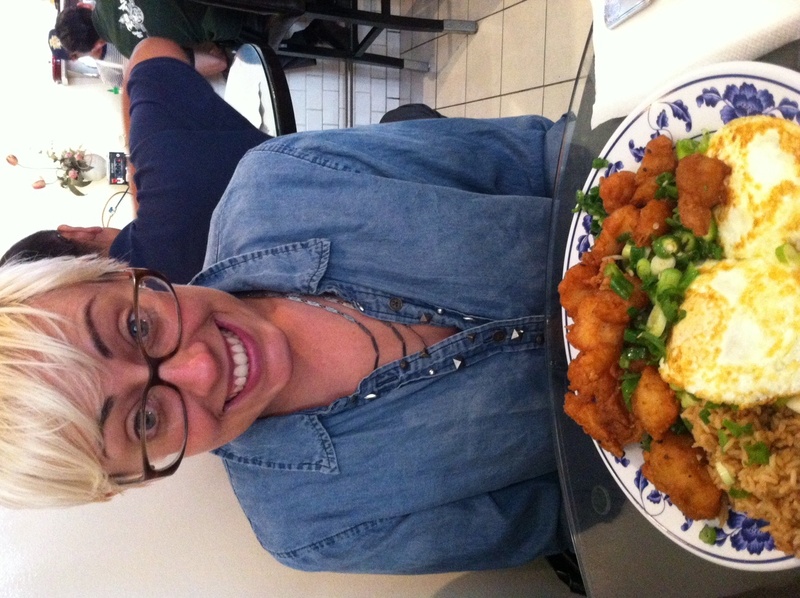 Sarah ordered the fried fish + is REALLY excited about it! I got their famous spicy pork chops. 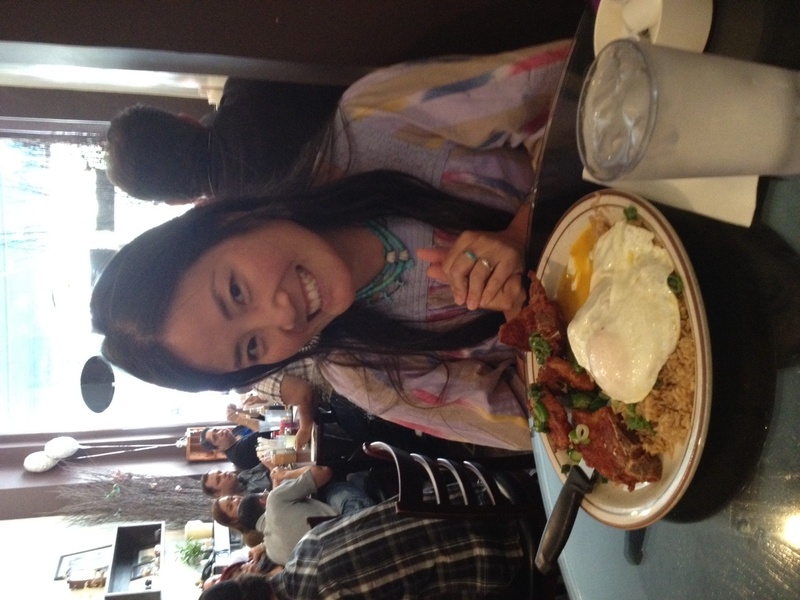 Both our dishes came with fried rice, eggs + generous heapings of sliced jalapeno + green onions. Doesn’t it look like I’m praying to my dish? That’s because I practically was. My head looks disfigured in that picture. Like I sort of have a cone head. These pork chops were are UNBELIEVABLY GOOD!!!! I can’t stop thinking of them! They dance in my dreams! Just a disclaimer, they weren’t juicy + moist, but rather dry + on the dense side, but it doesn’t matter. I can’t give you any specific explanation about what kind of magic in these pork chops made my taste buds sing, but I’m in love with them. I want to take them on a date. A romantic trip to the countryside. Our meals reminded me of plate lunch meals from Hawaii. 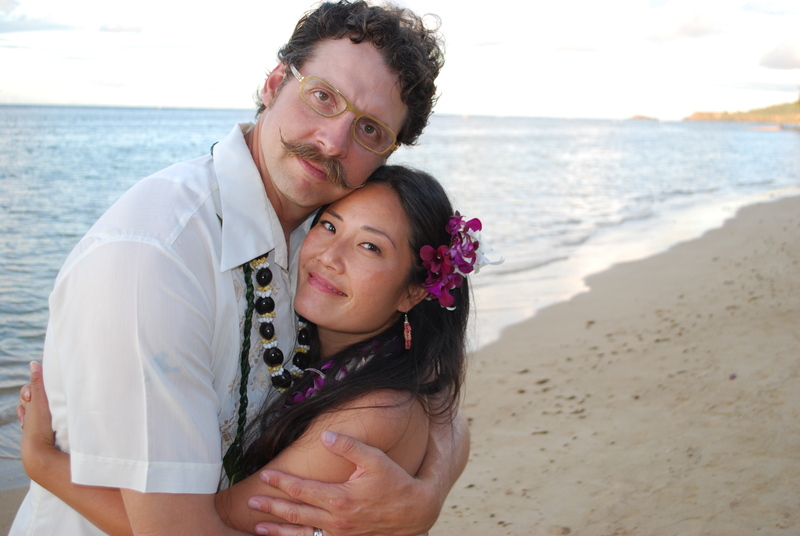 I wonder if this family is from the land of Aloha???? Well, I’m MOST DEFINITELY returning to Uncle John’s, so I’ll just have to ask the family, won’t I????!!! !